Maintaining your toothbrush is essential for a healthy and beautiful smile. 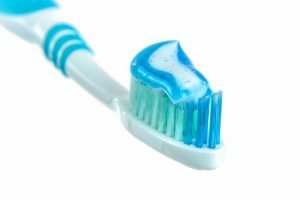 An old, frayed toothbrush doesn’t clean your teeth effectively. If stored improperly, your toothbrush can be exposed to an array of harmful bacteria. With the proper maintenance and frequent changing of your toothbrush, your mouth will remain bacteria free. Be sure to replace your toothbrush when the bristles begin to bend and fray, or at least every three months. Children’s toothbrushes should be replaced more frequently (every 1-2 months). After brushing, rinse your toothbrush and stand it upright to dry. Many bacteria can’t survive on dry bristles. When traveling, never place a wet toothbrush inside a suitcase or toiletry bag. If you do not have time to let the toothbrush dry before packing it, purchase a new one. Store your toothbrush away from the toilet and sink to avoid contamination from airborne germs. Always have an extra toothbrush at home, so you can immediately throw out your old one should it start to fray. Store your toothbrush in an enclosed container. Bacteria can breed in the trapped moisture. Share your toothbrush with others or allow toothbrushes to touch. Put your toothbrush in hot water or the dishwasher. The damage that can result may make the toothbrush less effective at cleaning your teeth. Soak your toothbrush in mouthwash or disinfectant. Air-drying is just as effective and doesn’t introduce harmful chemicals to your mouth. To learn more about the importance of brushing, make an appointment with your Longmeadow dentist today.